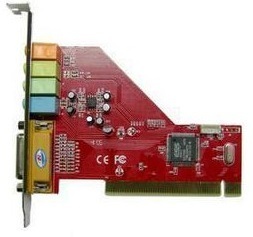 Hello guys to this new driver solution article, today as previous drivers tutorials, I want to share with you a driver-solution for an old sound card chip from ESS, its a card from 1999-2000, but hard to find a working driver for the latest Windows 7 and Windows 8, so just follow the below steps and your Maestro SOLO 1 ESS sound card will work fine. The target sound card chip is "ESS ES1946 1938 PCI", you can find the chip reference on the PCB card big chip, and the HWID is "PCI\VEN_125D&DEV_1969&SUBSYS_8888125D". So all you have to do is download this driver, extract the file into the desktop, then from device manager, search for driver from the extracted folder. This is just a temporary solution and it's not official from ESS, so use it at your own risk.